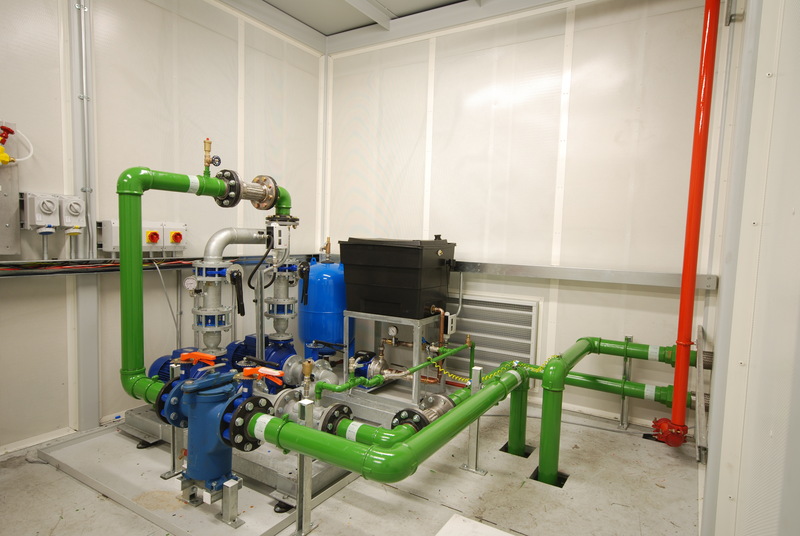 Envirosound can offer complete Test Cell water cooling / pipework systems, or individual modules to link into existing installations. We can also design and fabricate purpose made hot / cold collector tanks with multiple inlet and outlet connections, internal weir, turbulence control screens, strainers, level controllers, make up points, heaters and access hatches. These can be incorporated in the base of a cooling tower when space is limited. We utilise standard style production cooling towers which are selected for each individual application. 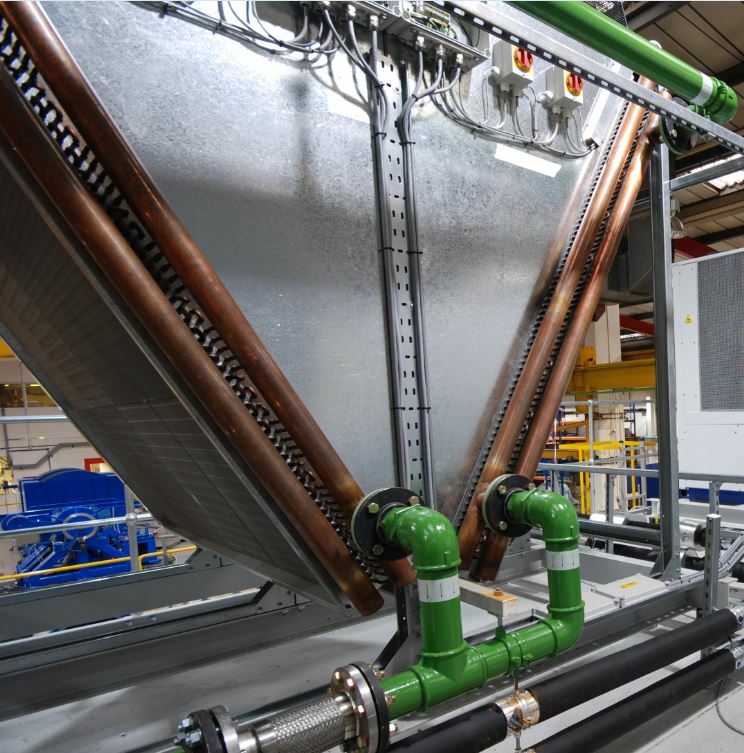 Alternative air blast coolers can be used for smaller cooling applications or where the ambient temperatures are low. These present a simplistic and safe cooling system, provided that the circuits are all ‘closed loop’. Evaporative cooling towers are better for lower water cooling temperatures and open circuit cooling loops. 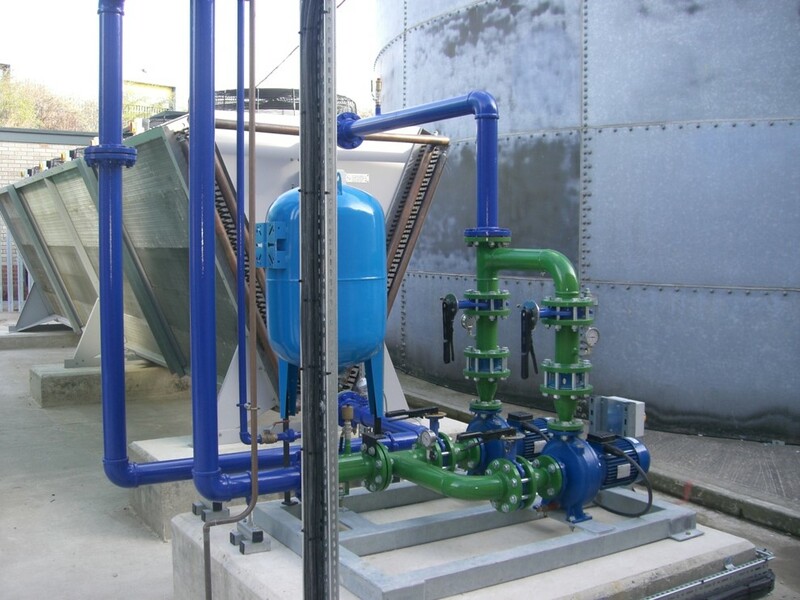 Water treatment and control systems become very important with this type of installation. Pipe work systems are selected and fabricated to suit the application. Circulation pumps are selected and piped for the flow and pressure duty required. These are frame mounted and can be duplexes to provide a run and standby mode. Ancillary sump pit pumps are fitted for draining service trenches, etc. Pipework systems are normally fabricated on site. Standard layouts can include shut off valves, strainers, air bleed valves, vacuum break valves, binda pressure gauge points, lagging, trace heating, controls and gauges.